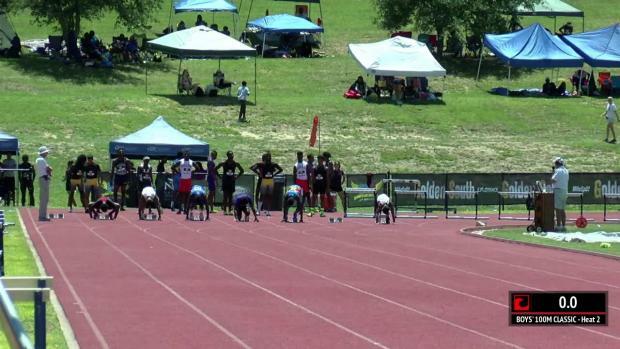 Want to compete against the best athletes from Florida, the southeast, and around the nation? 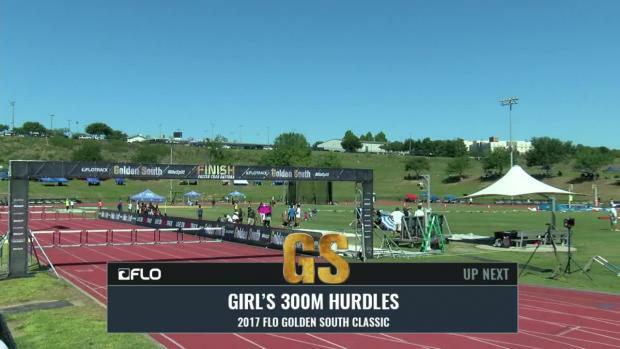 Registration for the 2017 Flo Golden South Classic is open. 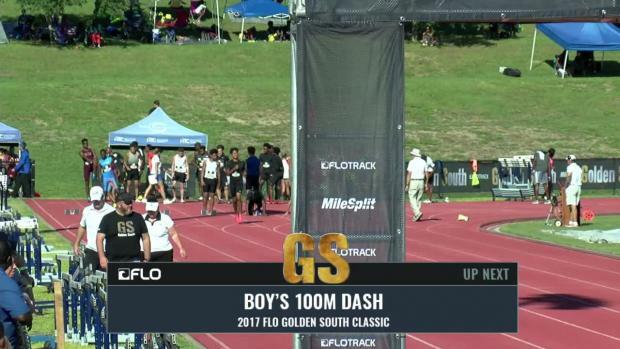 We preview the boys classic track and field events at the 2017 Flo Golden South. 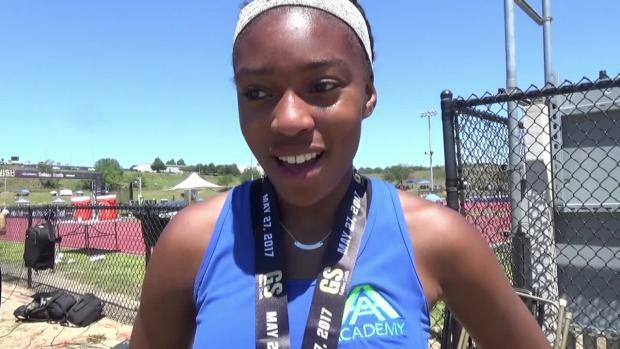 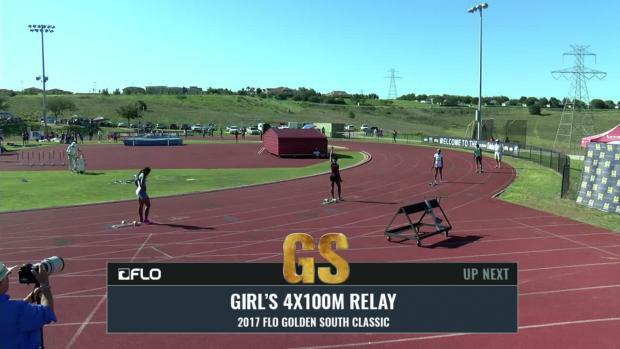 We preview the girls classic track and field events at the 2017 Flo Golden South. 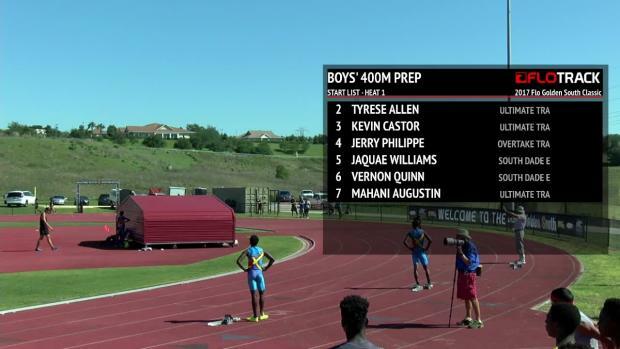 Check out some of the best head-to-head matchups at Flo Golden South. 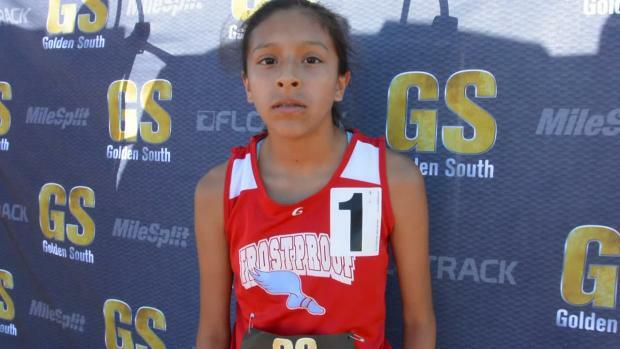 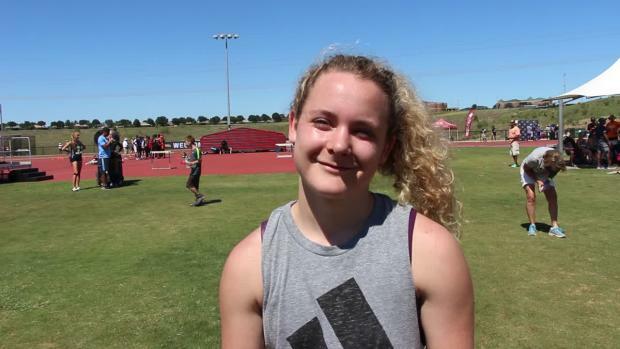 Flo Golden South will be a Brooks PR qualifier again this year in two different events. 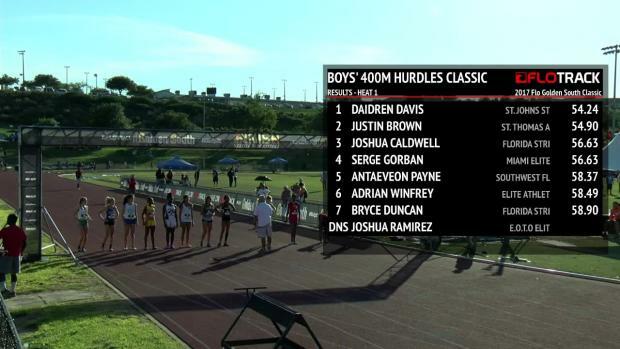 Derrick Adkins set the 400m hurdles meet record in 1987. 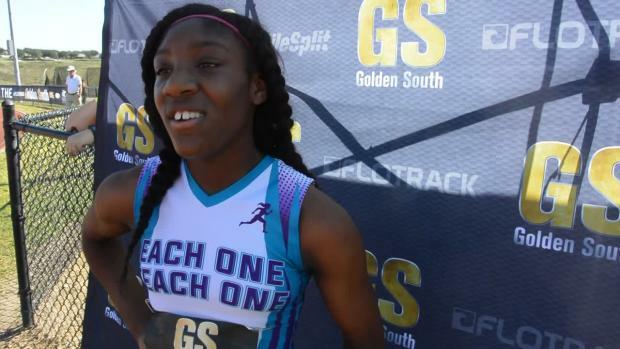 Everything you need for all the latest on Flo Golden South. 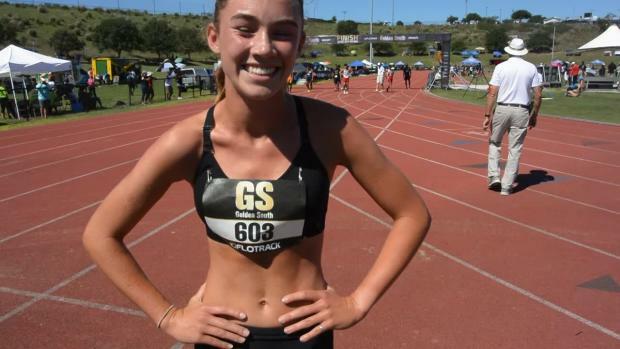 Check out the latest entries for 2017 Flo Golden South. 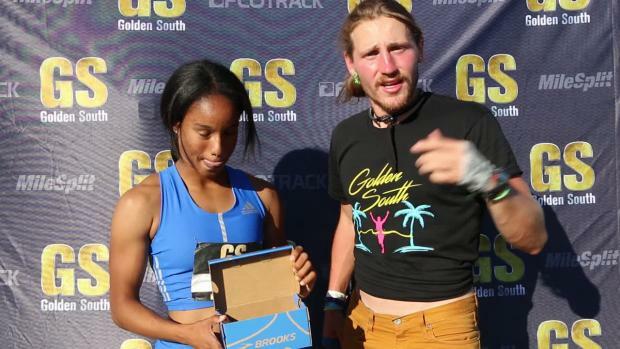 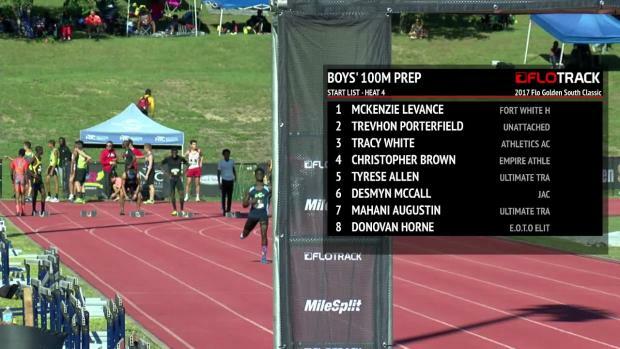 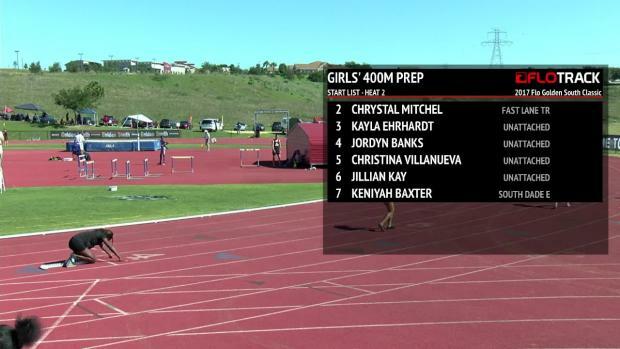 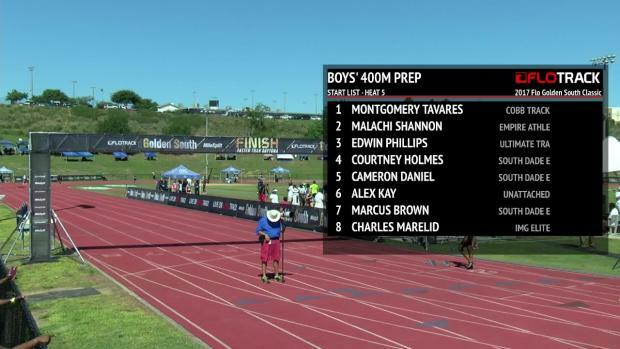 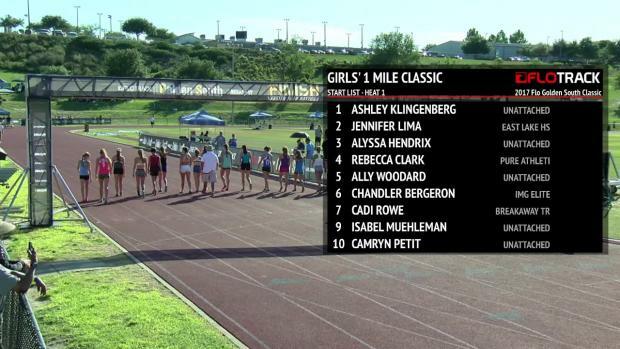 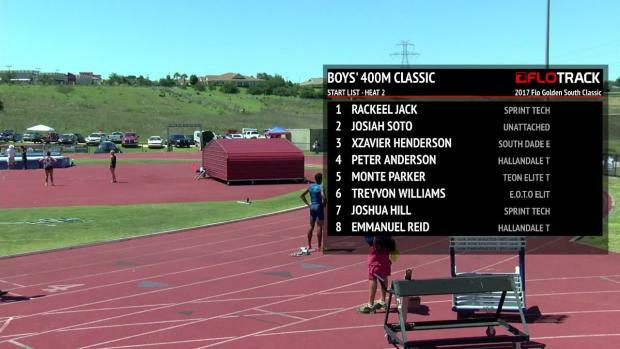 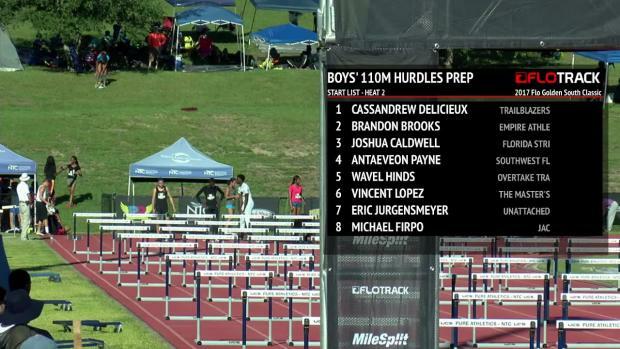 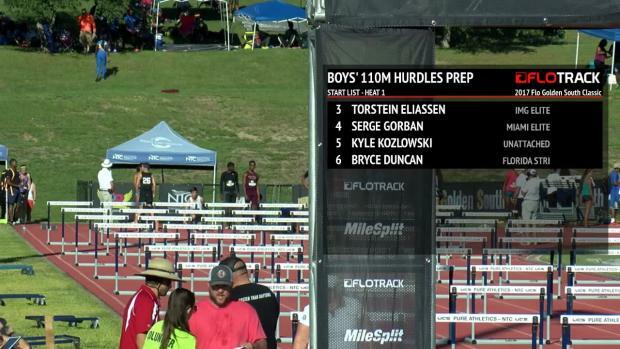 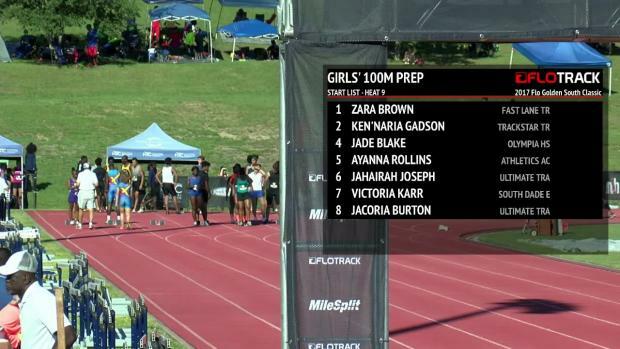 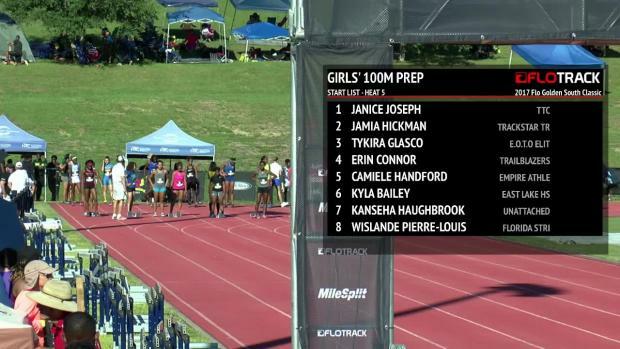 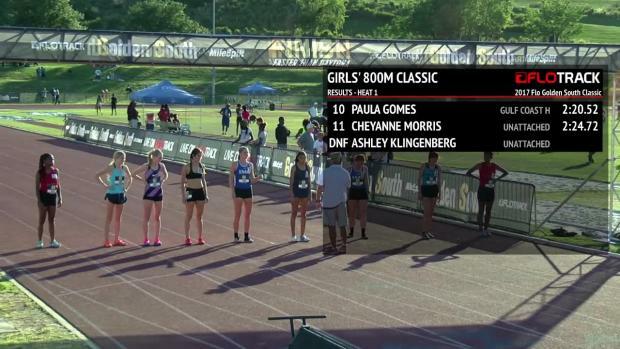 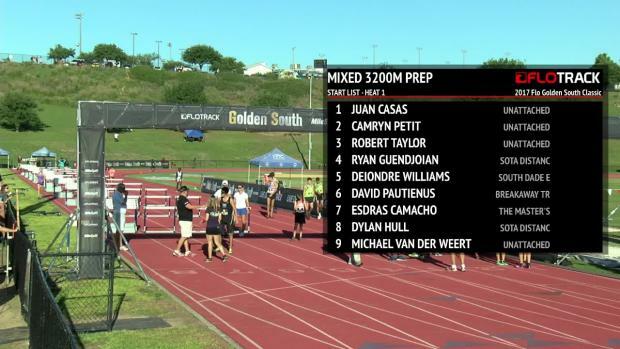 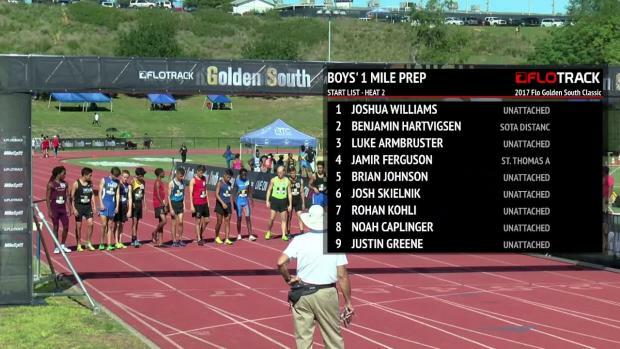 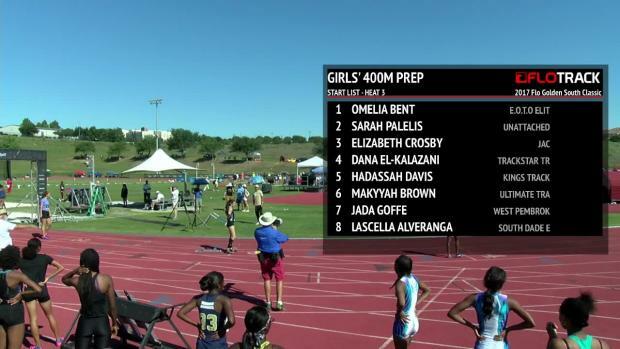 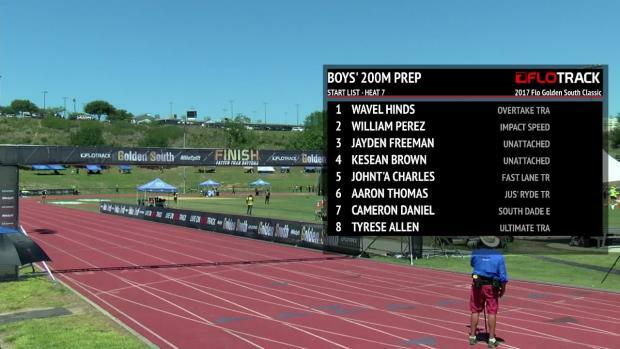 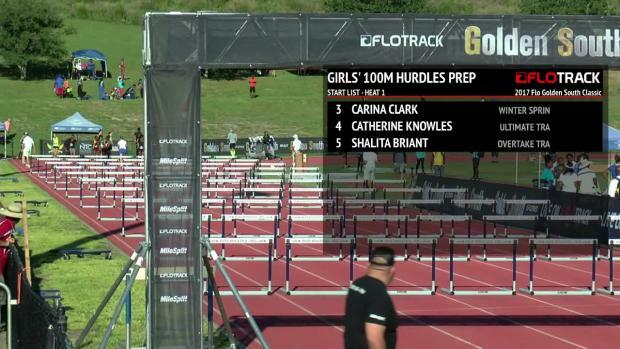 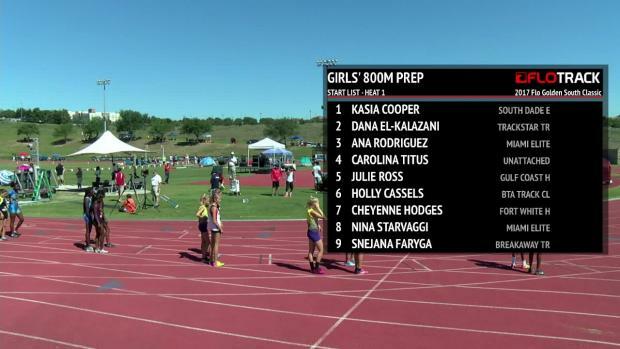 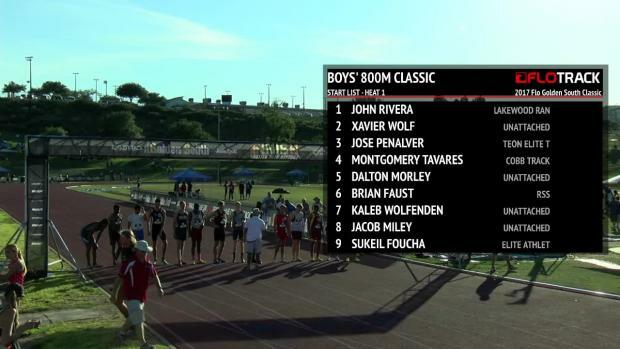 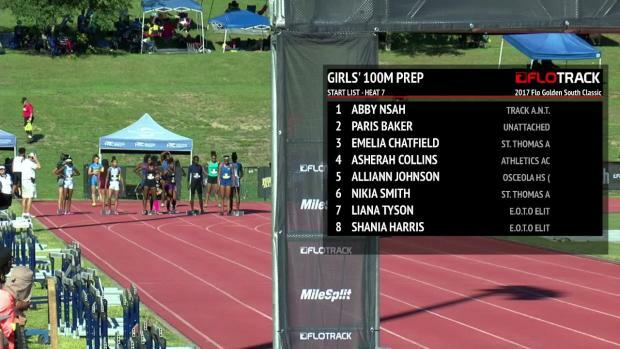 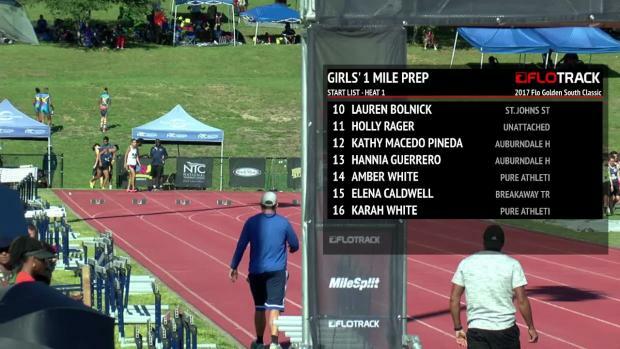 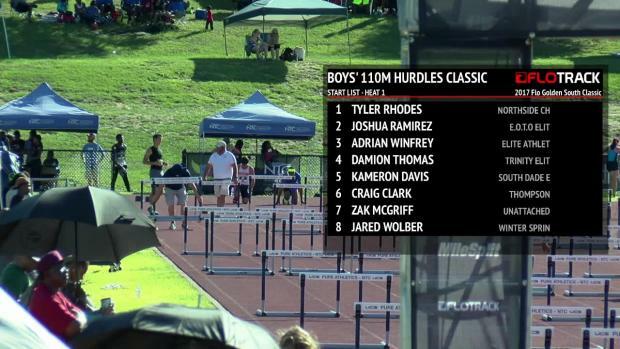 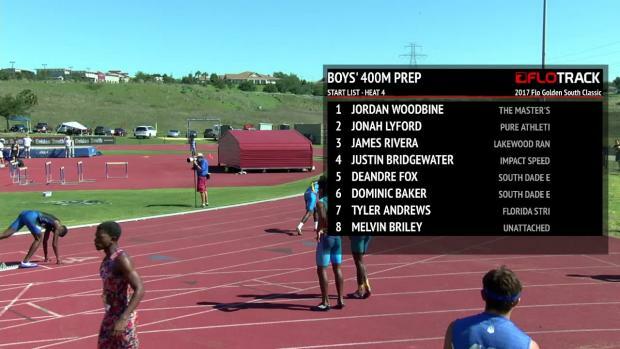 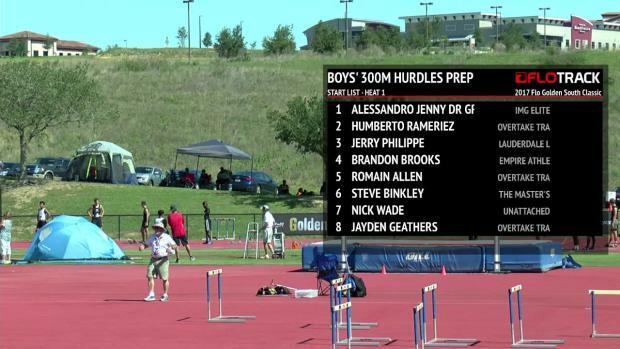 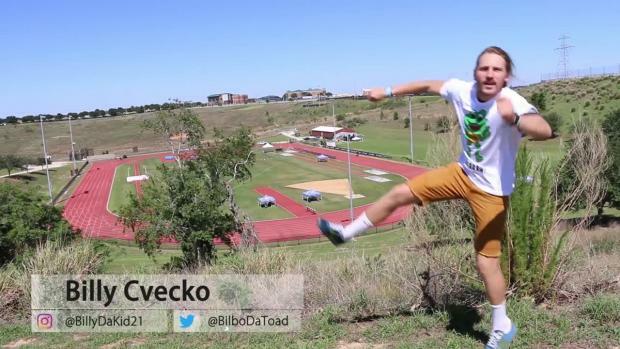 The meet is heating up with many athletes wanting to win a golden ticket to Brooks PR. 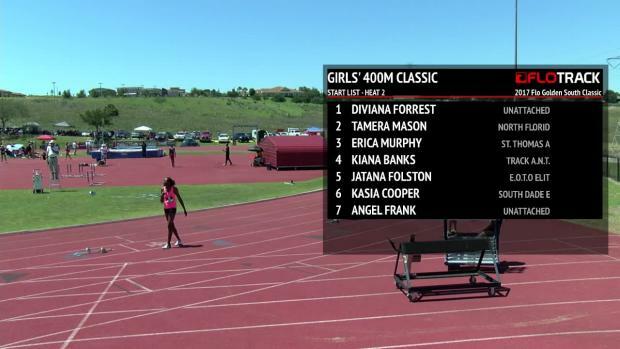 Today's Flo Golden South Stud Alert is Miramar High School's (Fl. 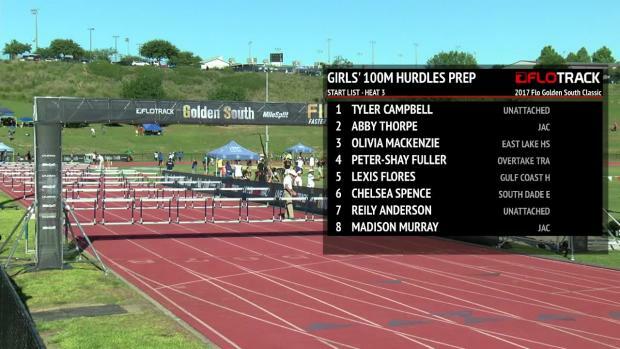 ), Taylor Banks. 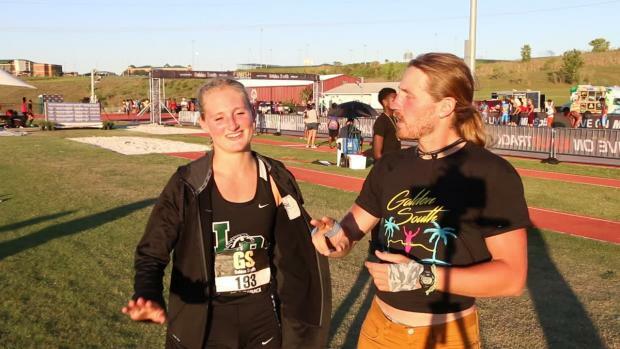 Sophia Falco is coming off her biggest haul at the FHSAA Track and Field Championships yet. 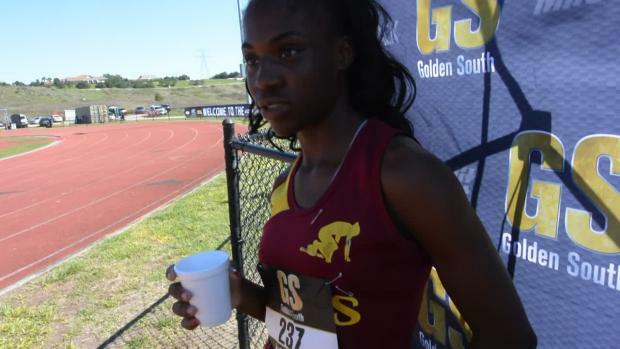 Learn about the history of the Golden South Classic. 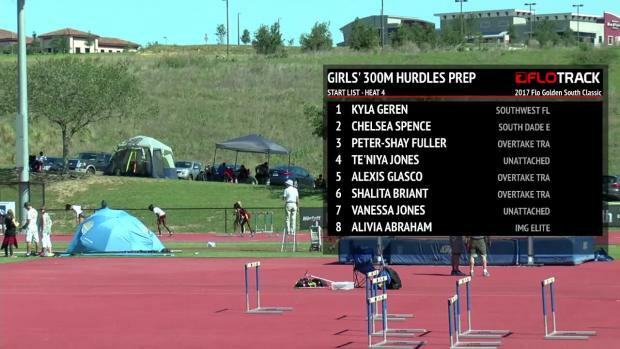 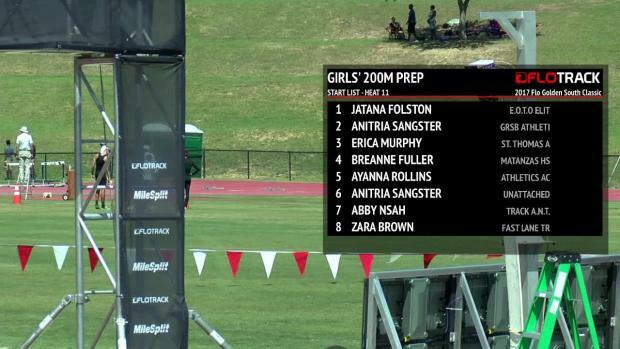 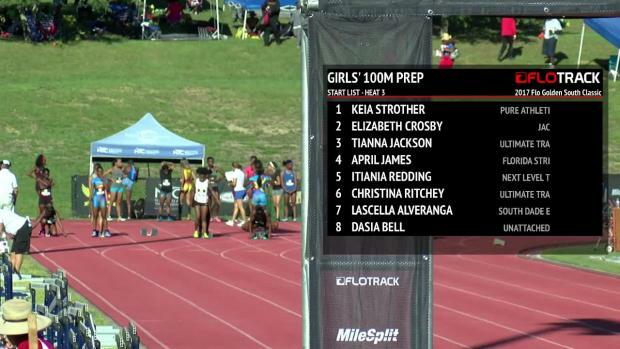 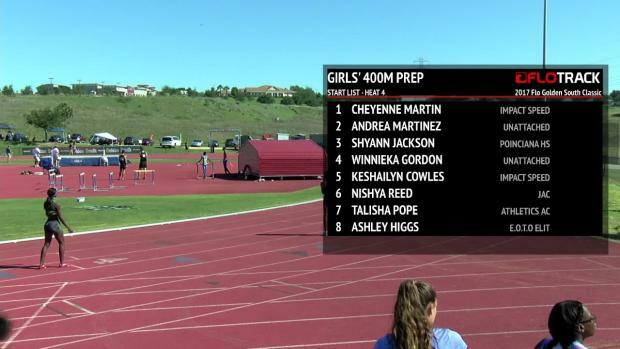 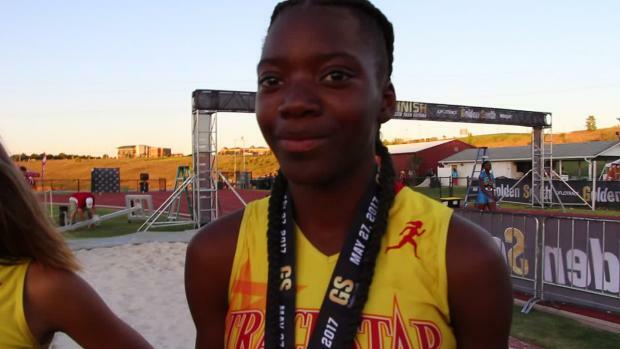 Aria Tate still has a few more goals before she finishes her high school track and field season. 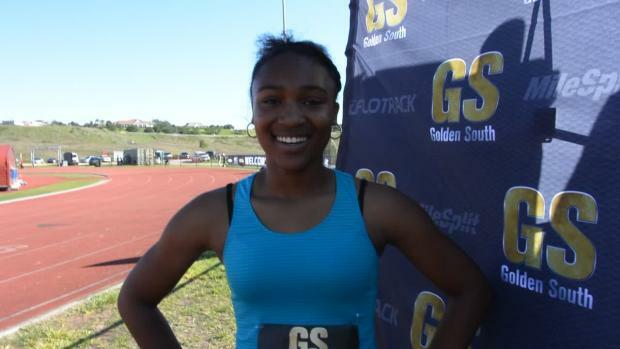 Today's Stud Alert is Palatka (FL) High School's KaTia Seymour. 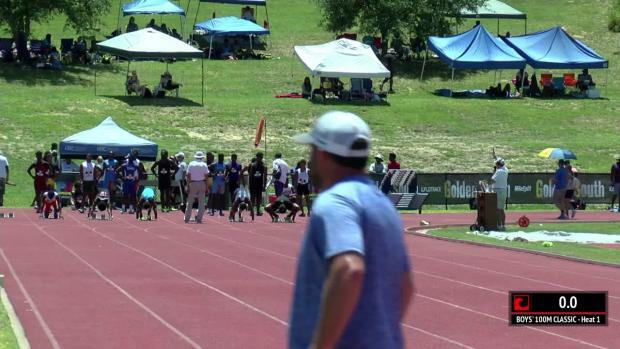 The best of the best are signing up for Flo Golden South. 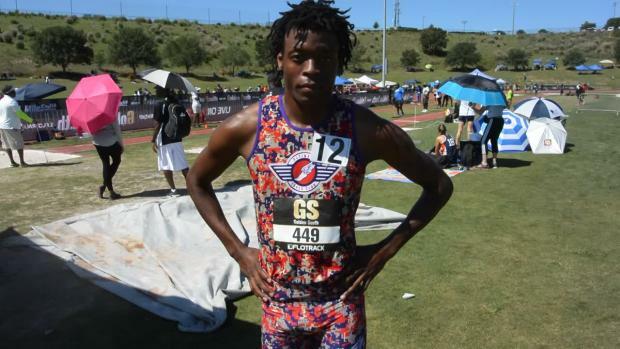 Hot off the press, performance lists for the 2017 Flo Golden South are out. 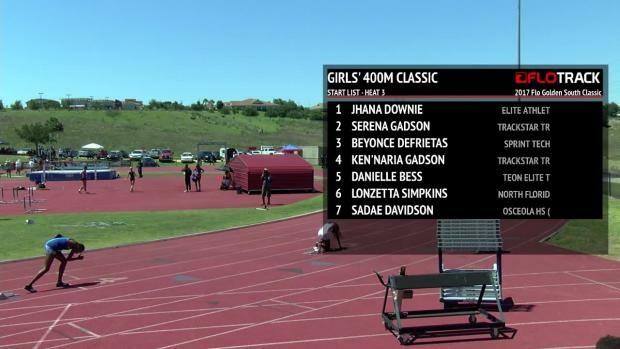 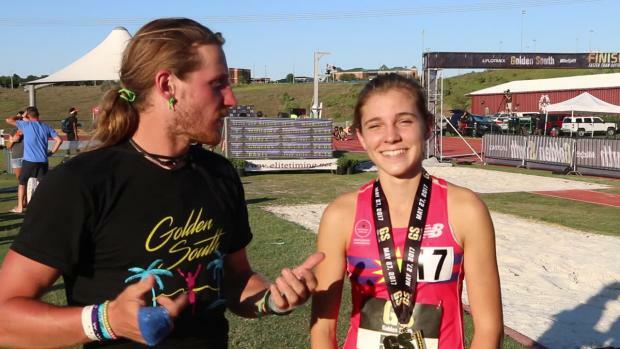 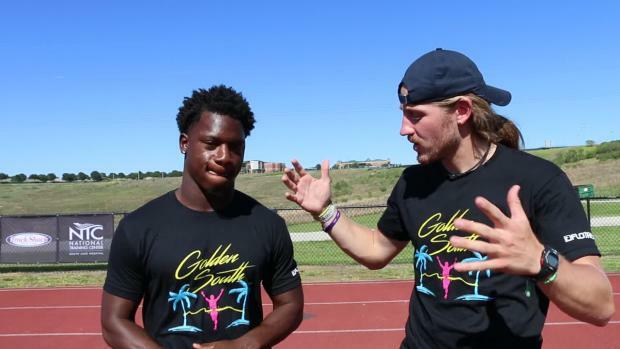 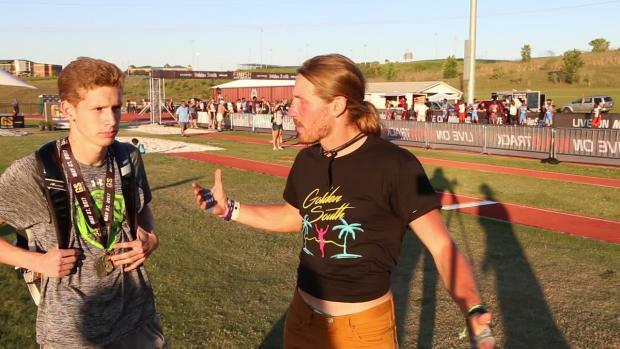 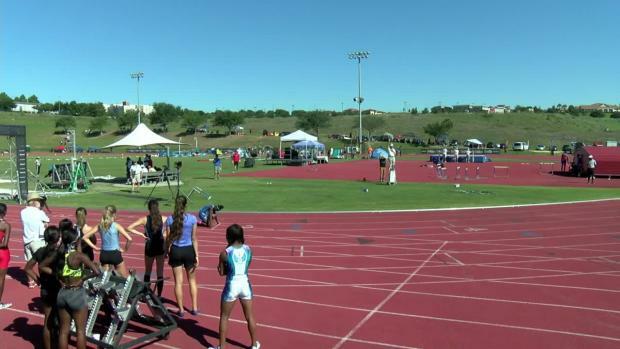 The two young Olympic hopefuls met at the 2014 edition of the Golden South Classic. 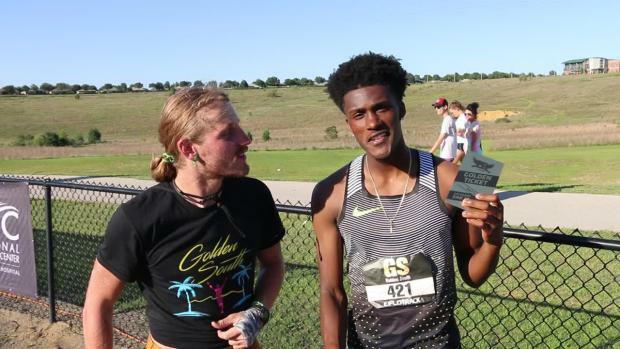 We take a look at the best boys distance performances over the last decade of the Golden South Classic. 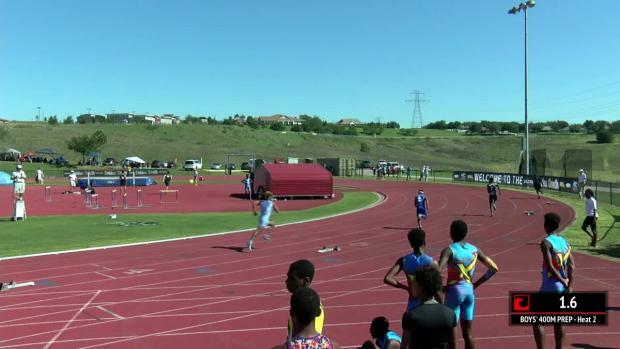 Today's Flo Golden South Stud Alert is Southridge High School's (Fl. 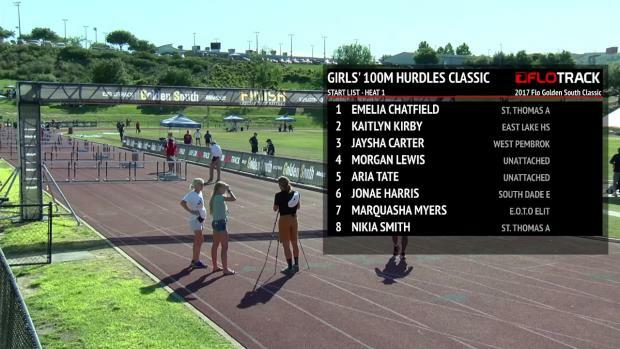 ), Kayla Johnson. 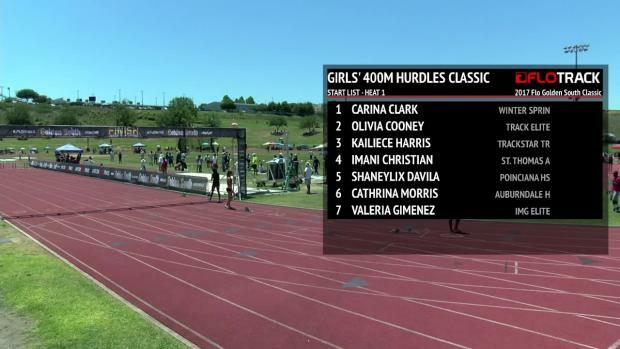 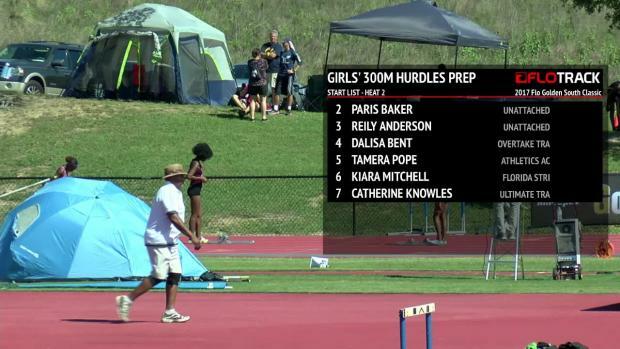 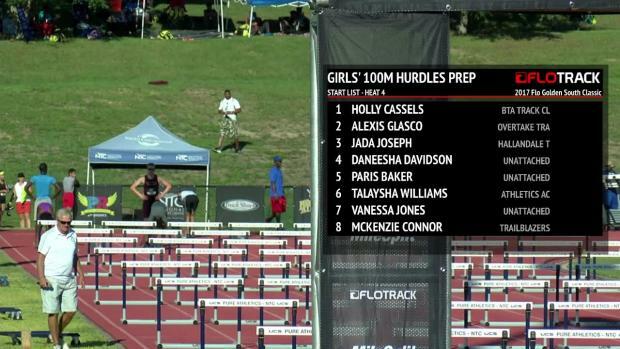 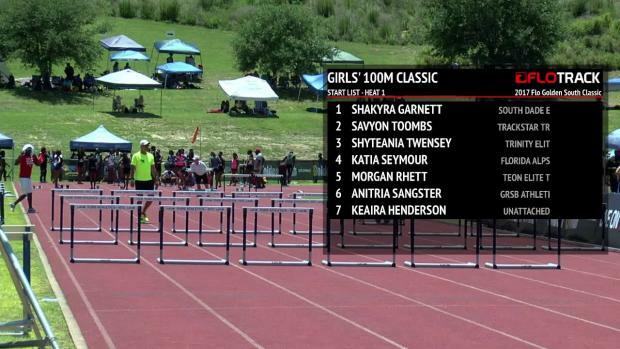 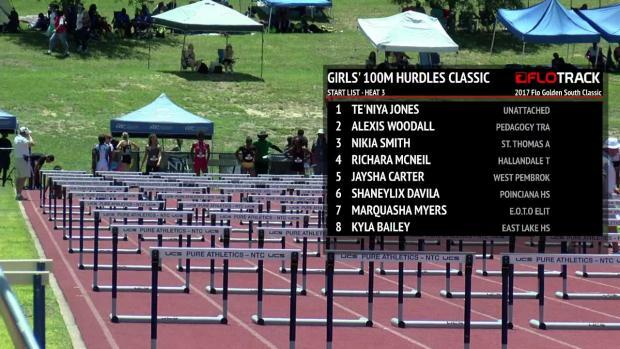 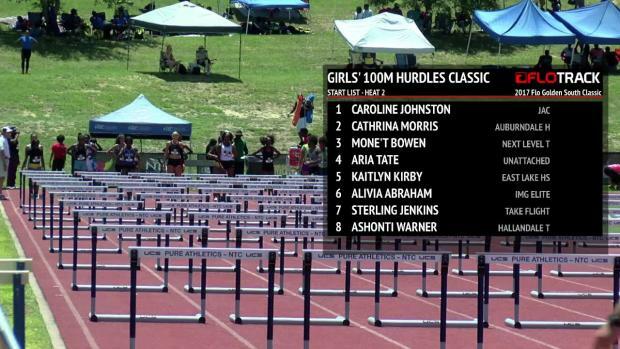 We take a look at the best girls sprint/hurdle performances over the last decade of the Golden South Classic. 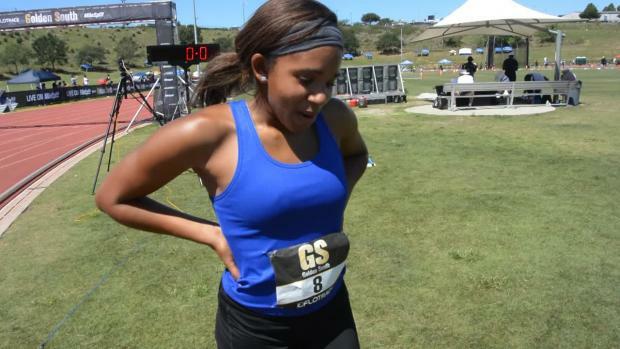 We take a look at the best girls distance performances over the last decade of the Golden South Classic. 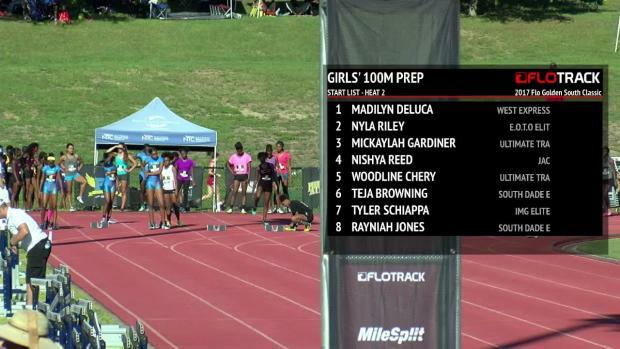 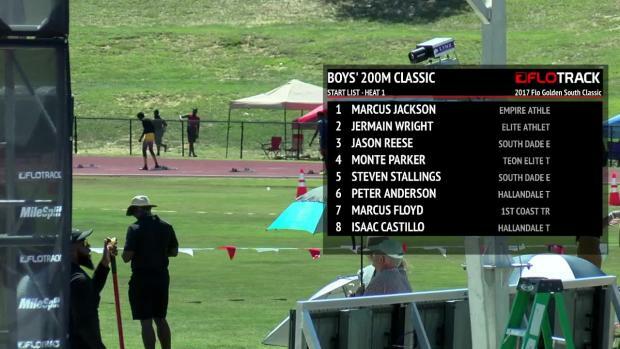 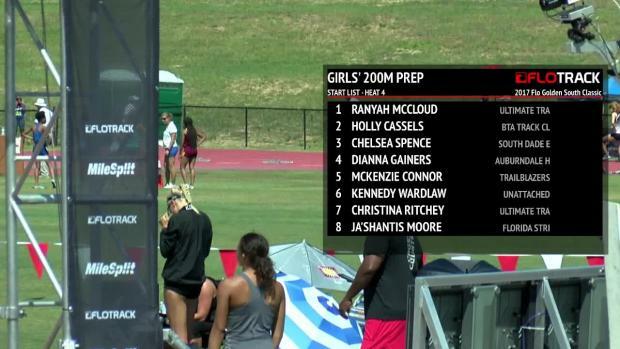 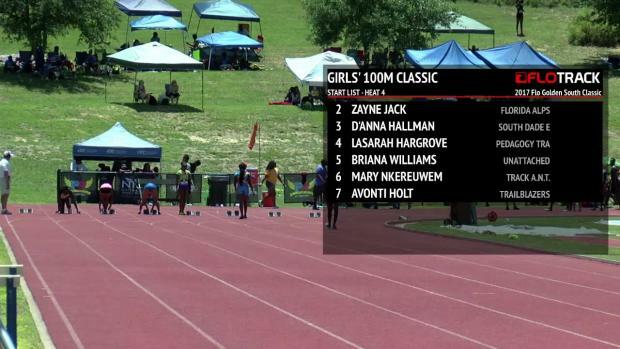 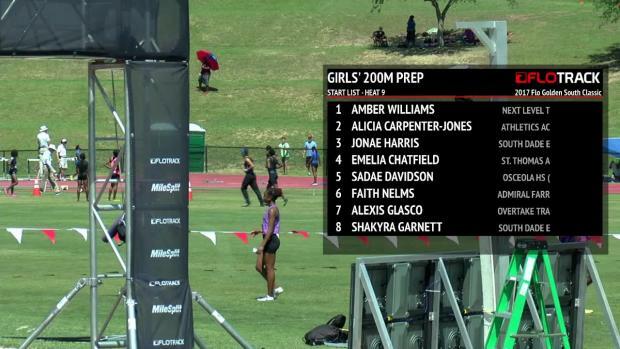 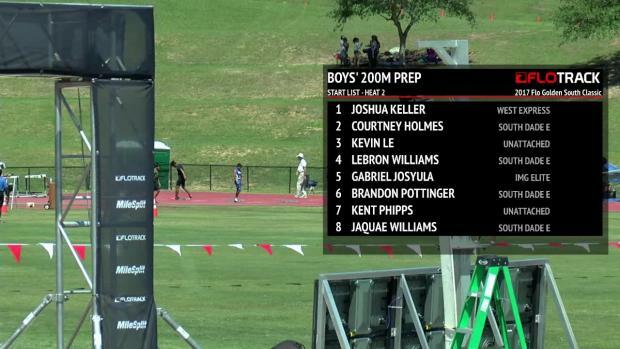 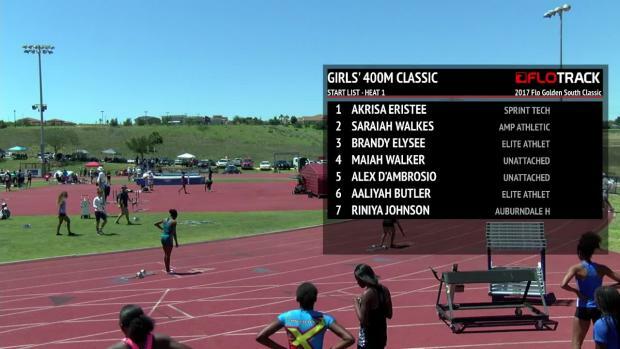 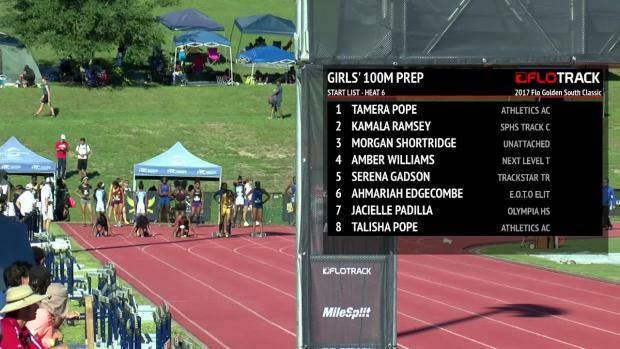 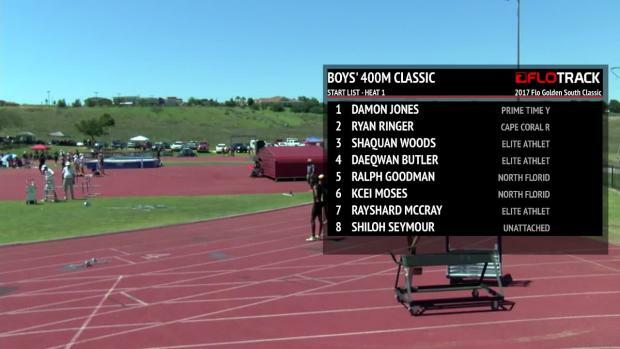 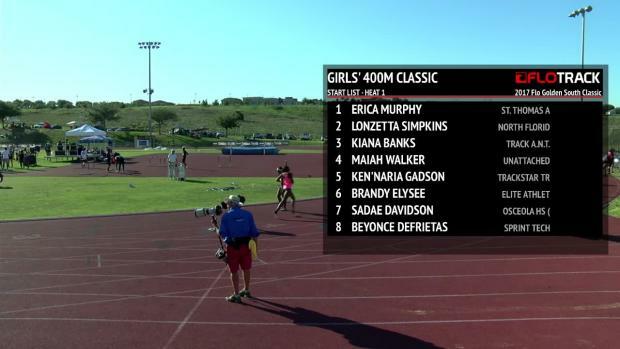 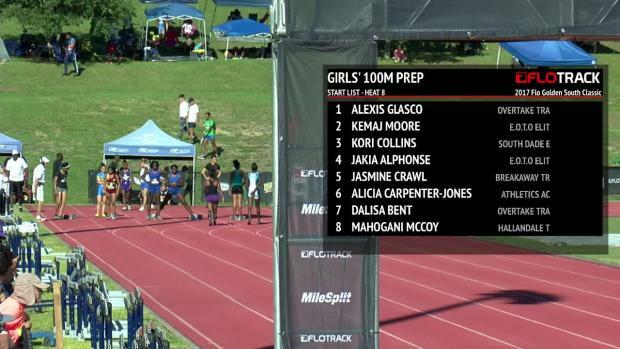 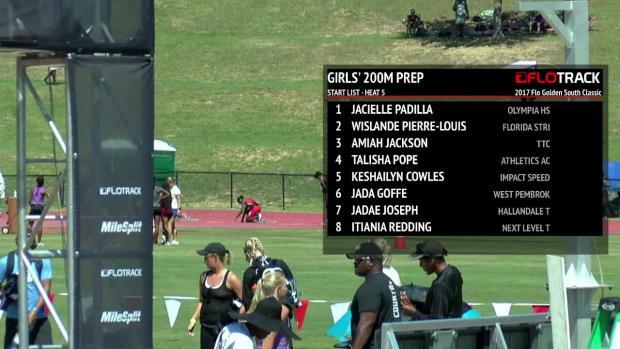 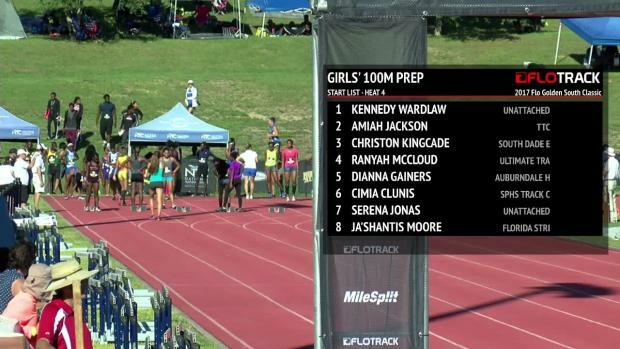 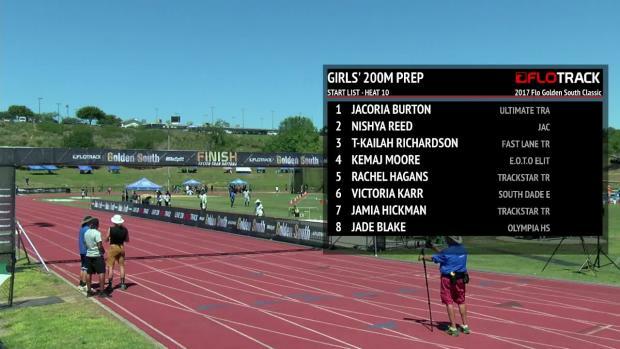 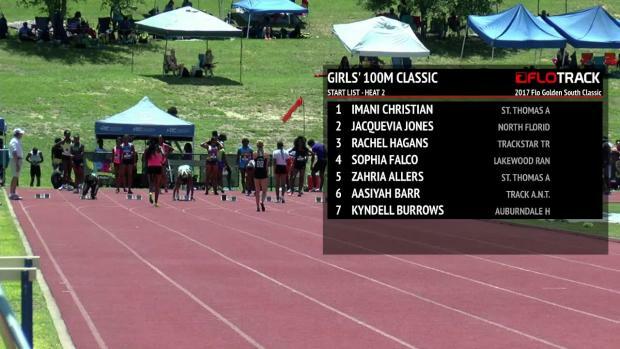 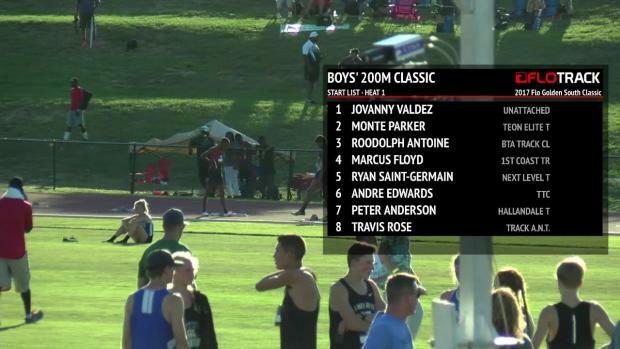 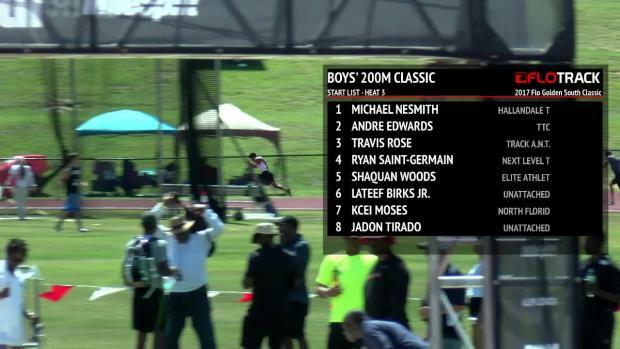 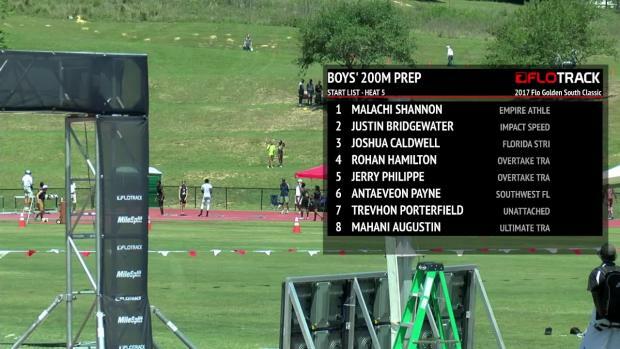 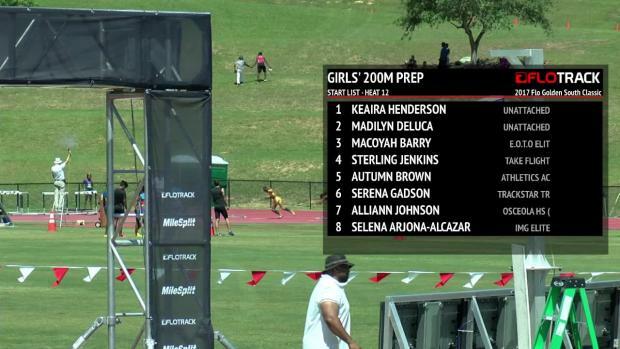 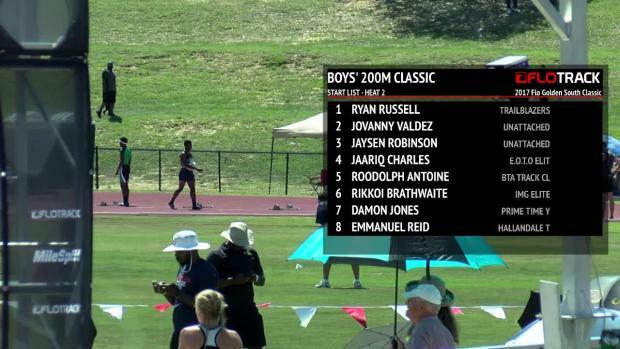 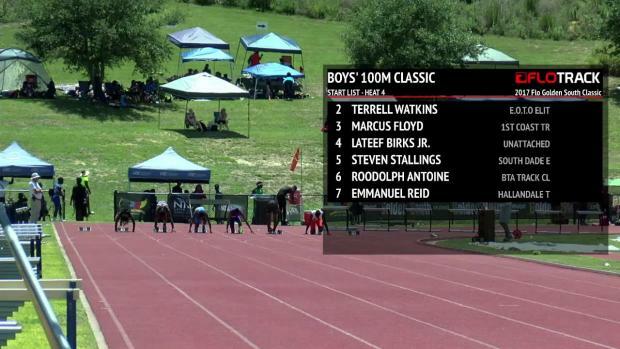 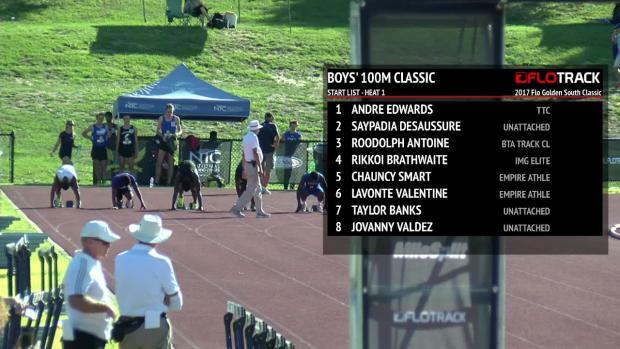 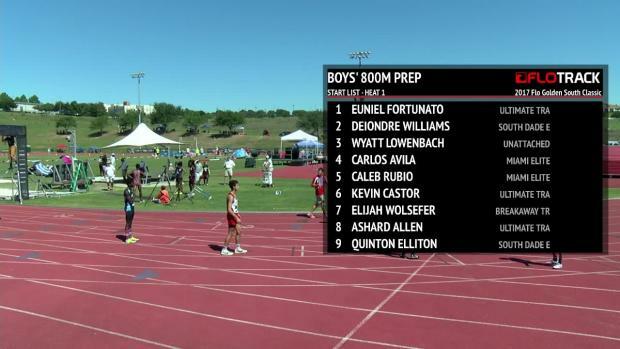 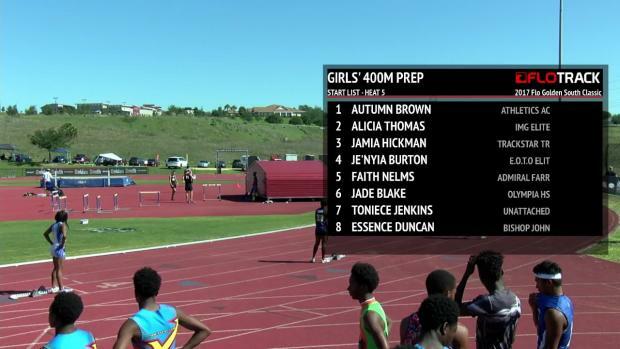 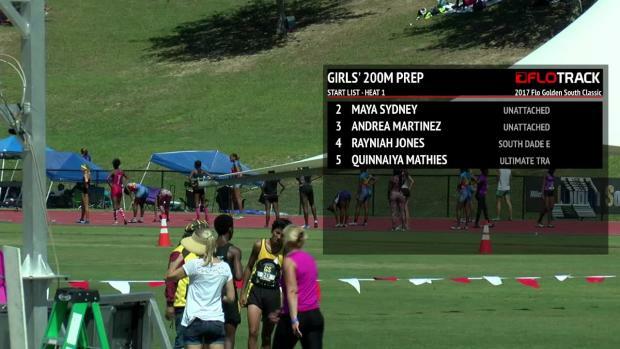 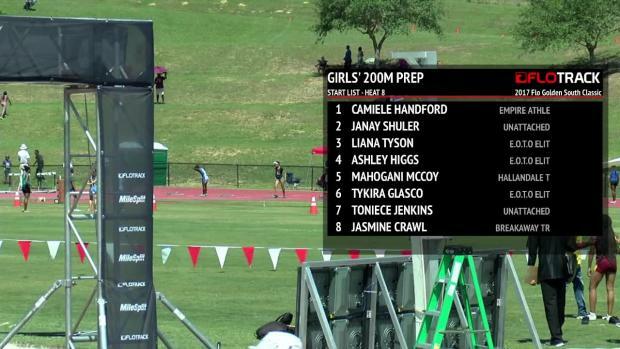 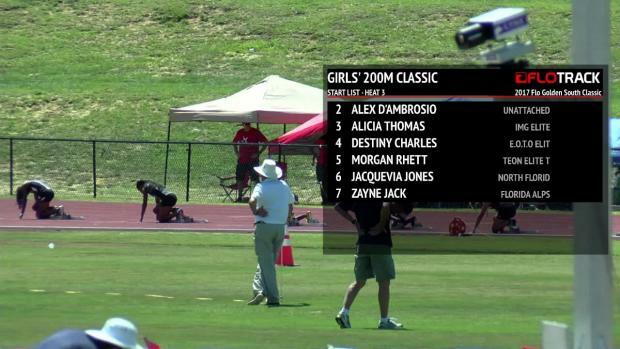 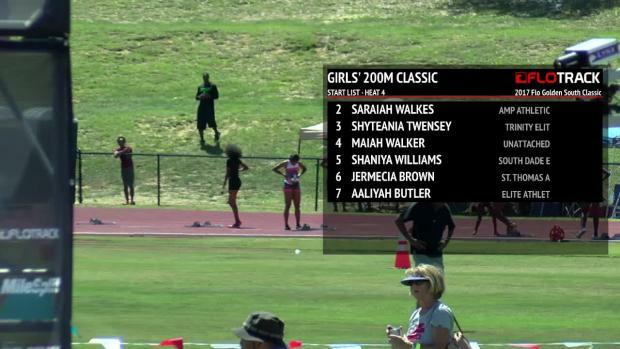 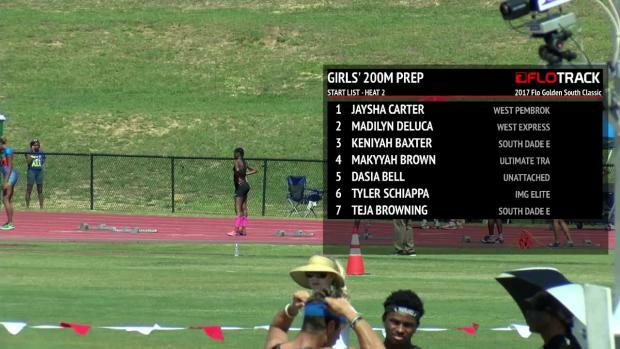 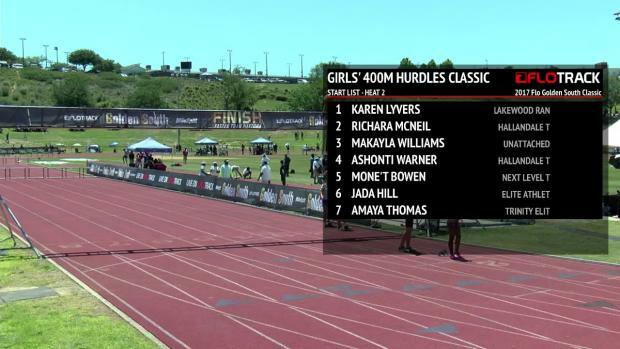 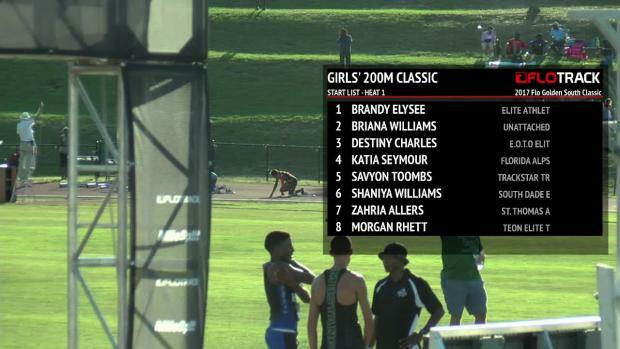 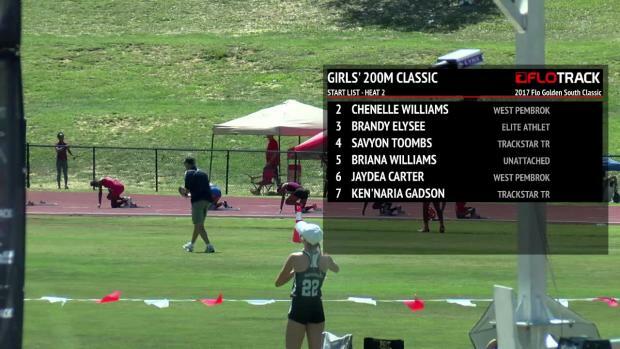 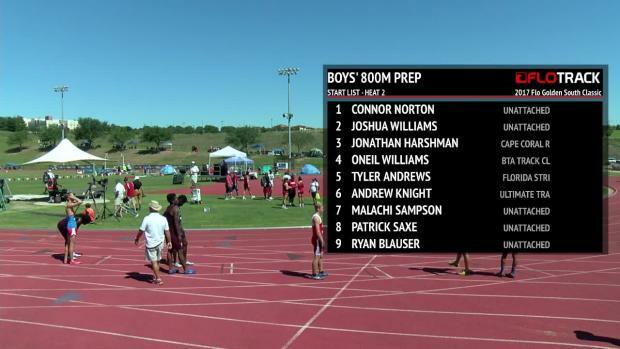 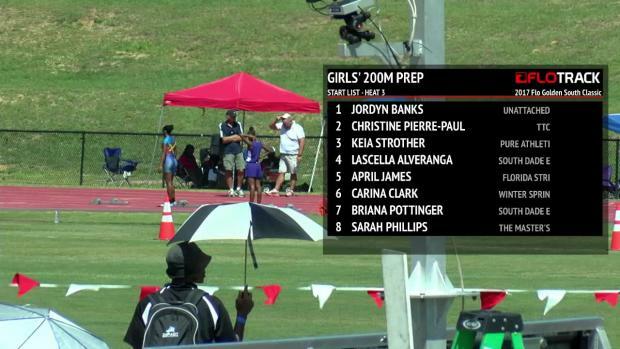 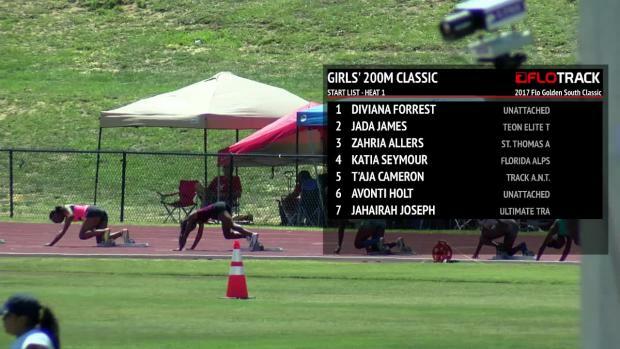 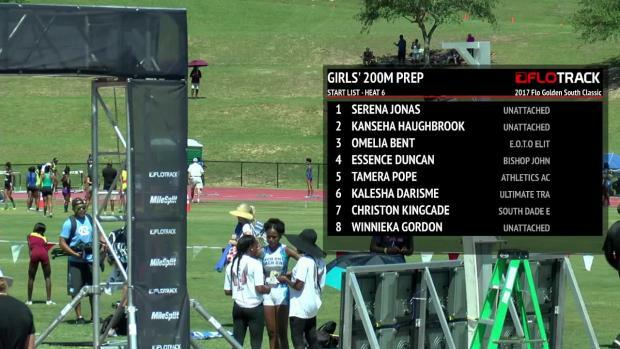 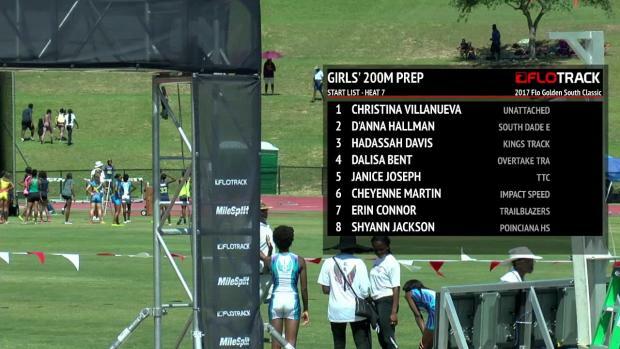 The nation's top two sprinters in the Class of 2003 faced off at the Golden South Classic. 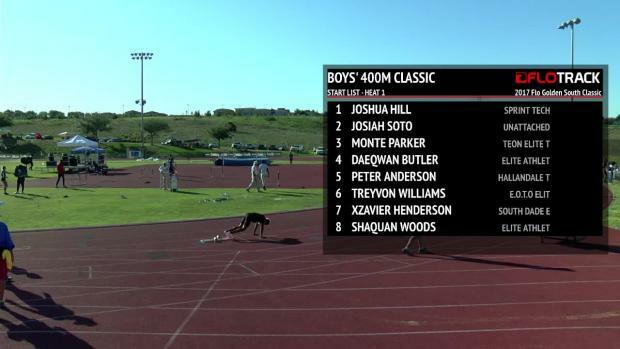 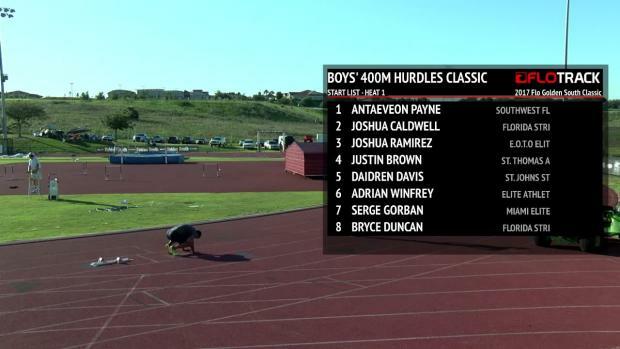 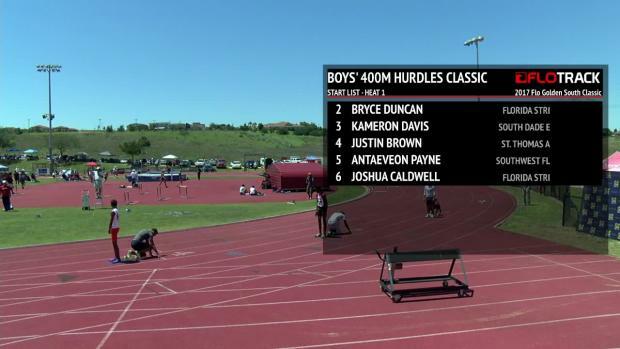 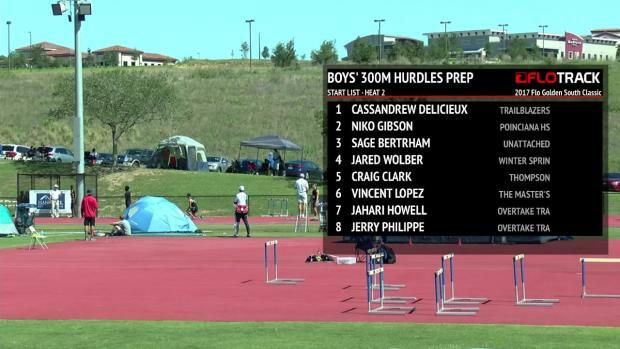 We take a look at the best boys sprint/hurdle performances over the last decade of the Golden South Classic. 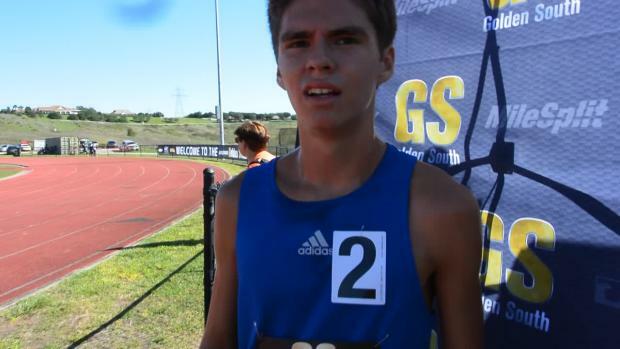 We take a look at the best boys field performances over the last decade of the Golden South Classic. 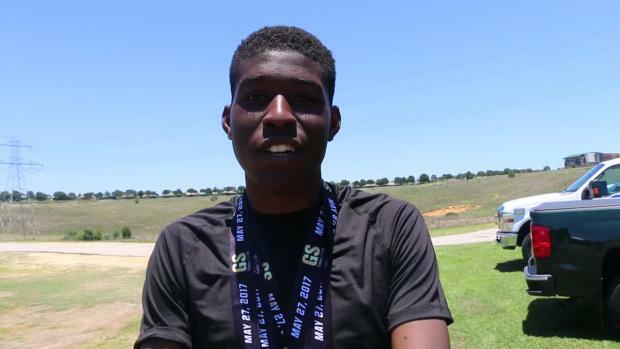 In 2012 Olympic year- a senior from Mansfield Timberview High School in Texas stole headlines as the hottest quarter miler in town: Aldrich Bailey. 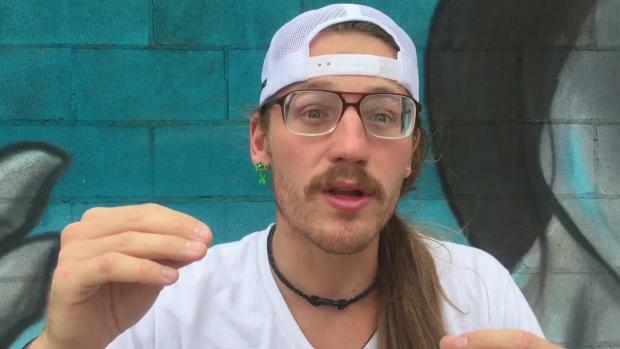 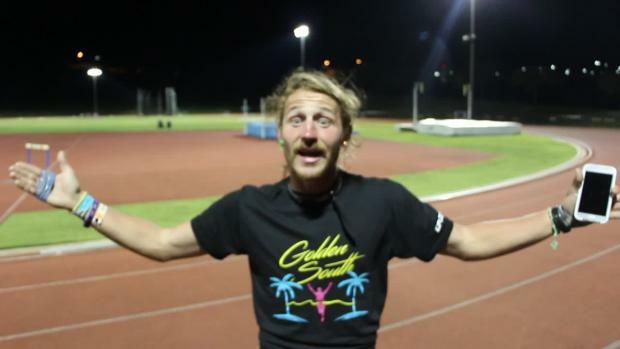 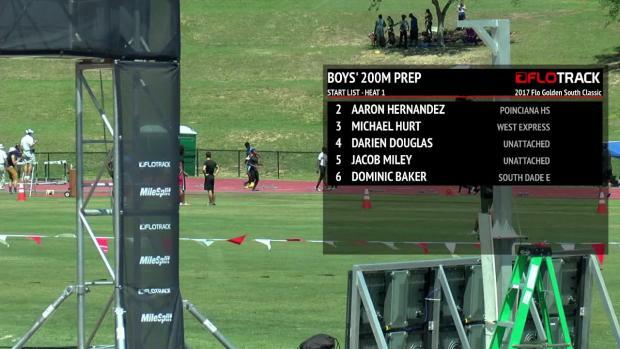 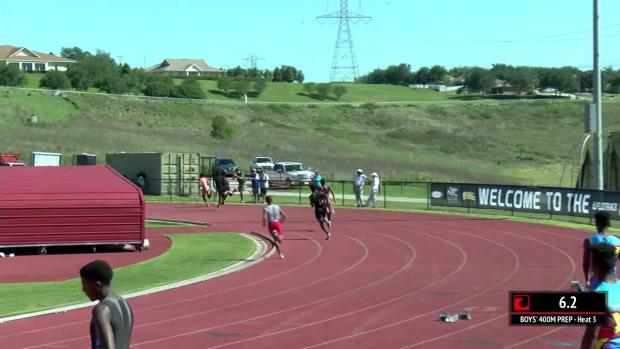 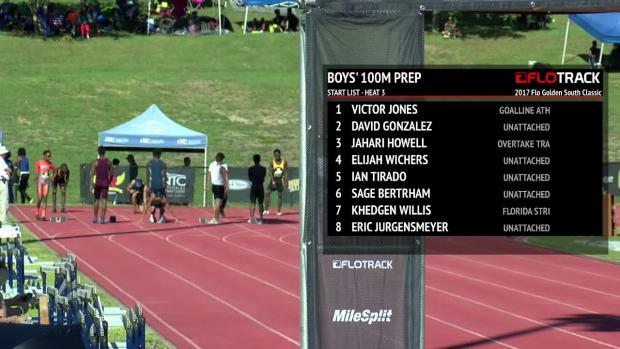 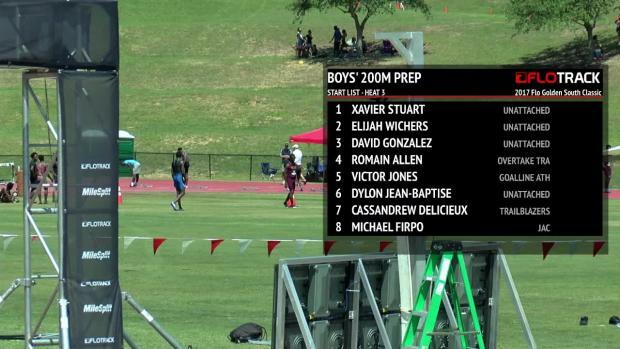 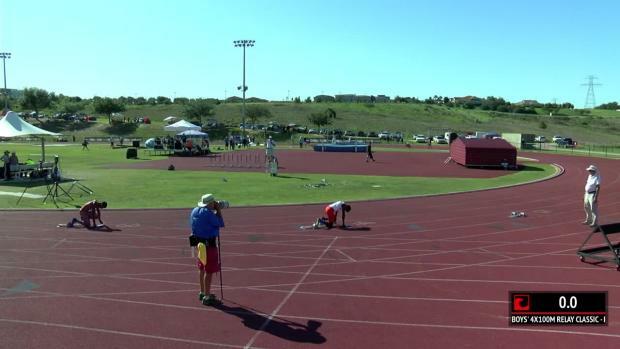 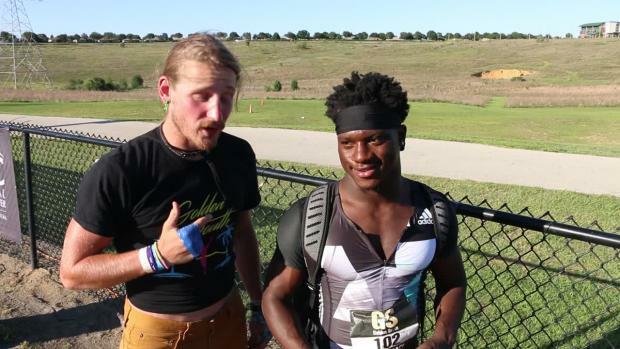 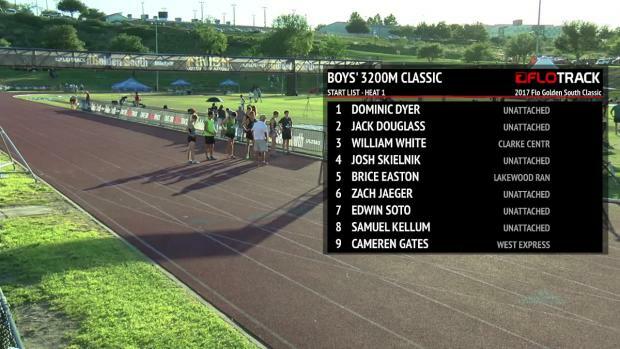 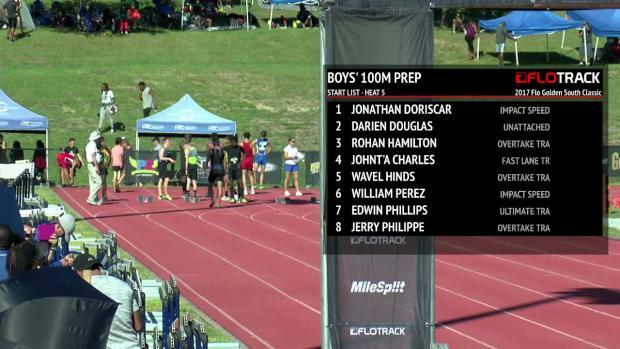 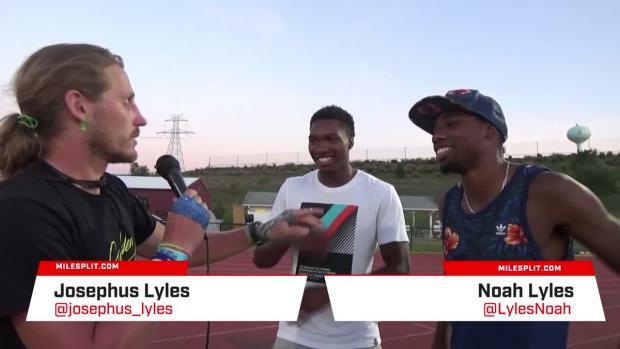 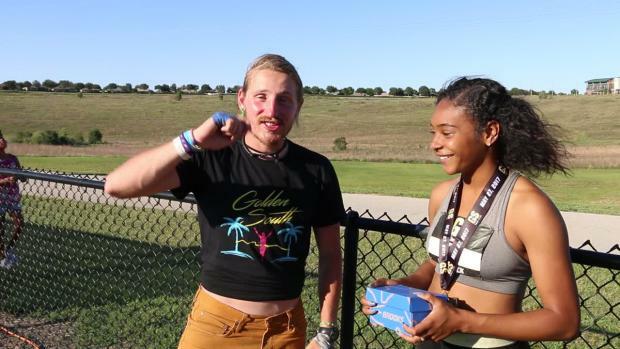 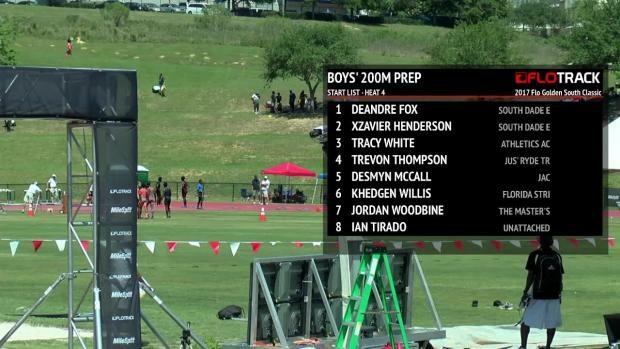 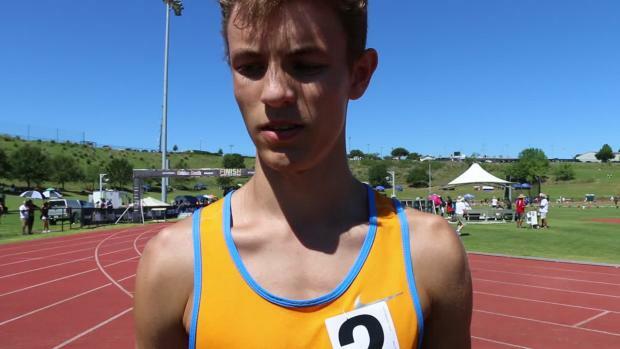 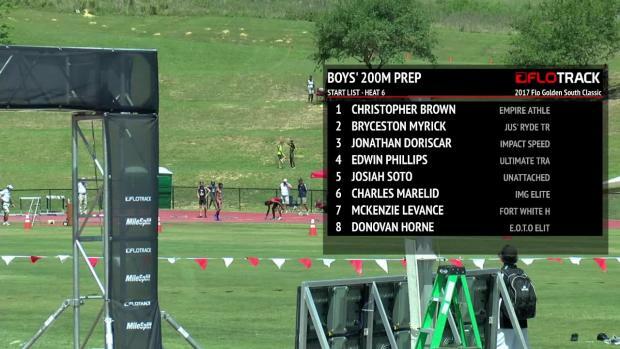 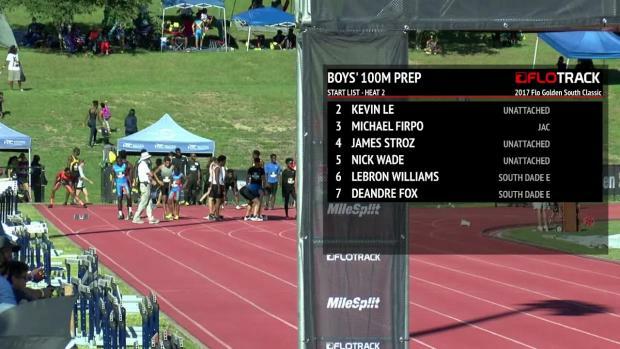 Watch Daniel Nixon earn his Brooks PR Golden Ticket! 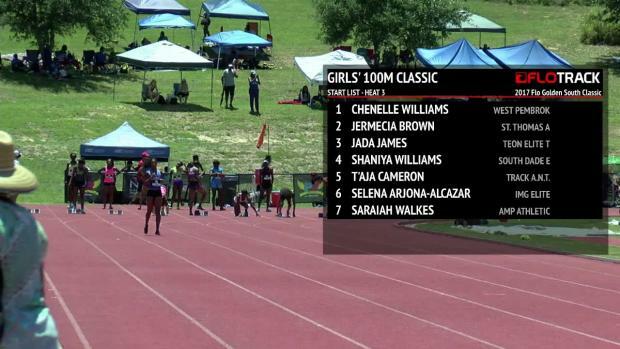 Who won the 100m dash and qualified for Brook PR? 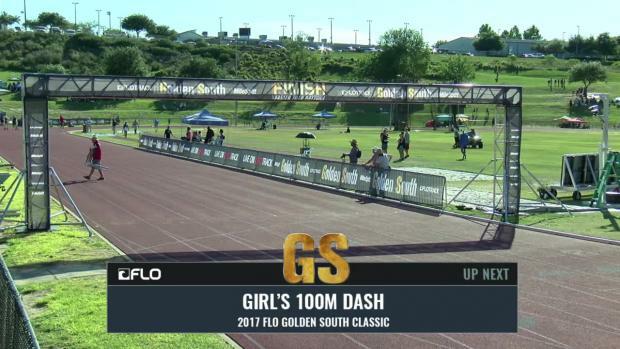 The 2017 Flo Golden South Classic is going be fast and fun. 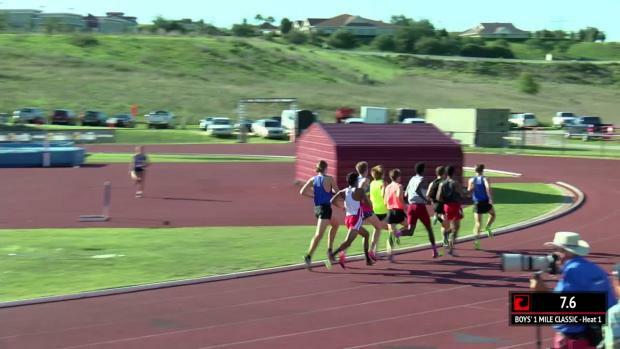 Check out our highlight reel from the 2016 edition. 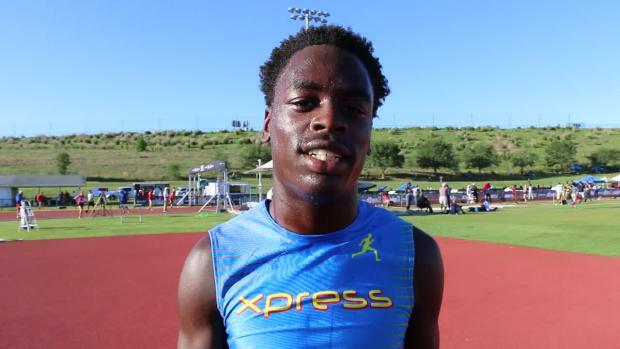 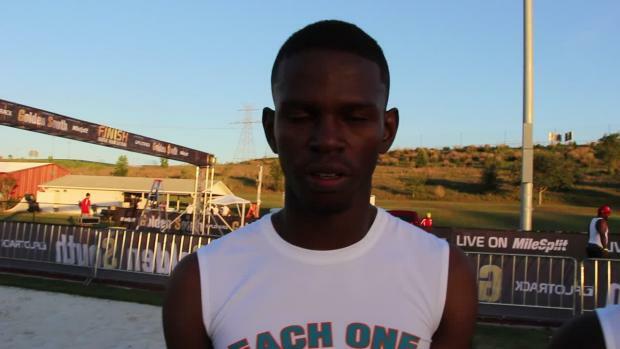 Our MileSplit team caught up with sprinter Chauncy Smart one of the favorites in the boys 100m dash on the eve of the 2017 Flo Golden South. 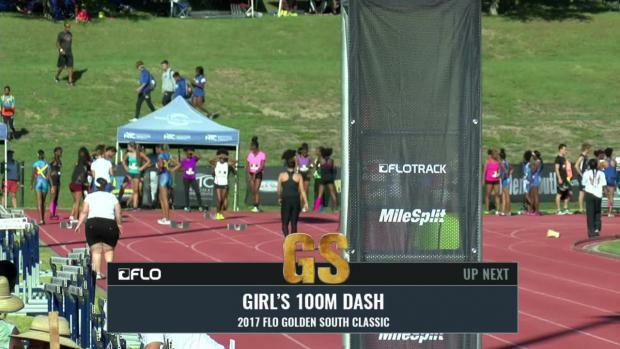 Watch all the action from the 2017 Flo Golden South Classic. 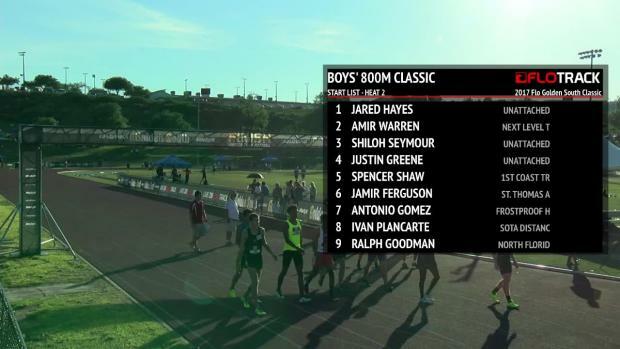 The freshman does it again! 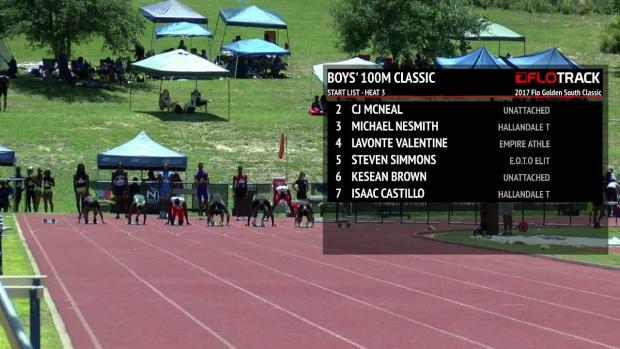 Three boys run 10.3 in the 100m! 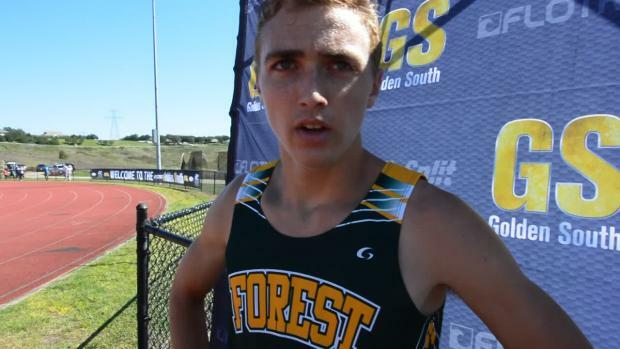 Donald Lamb was on-site at the 2017 Flo Golden South and snapped over 700 photos of all the action. 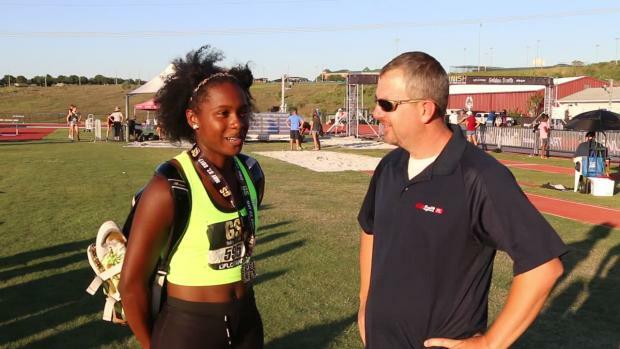 Maynard St. John was on-site at the 2017 Flo Golden South as part of our coverage team and snapped over 1,200 action packed images. 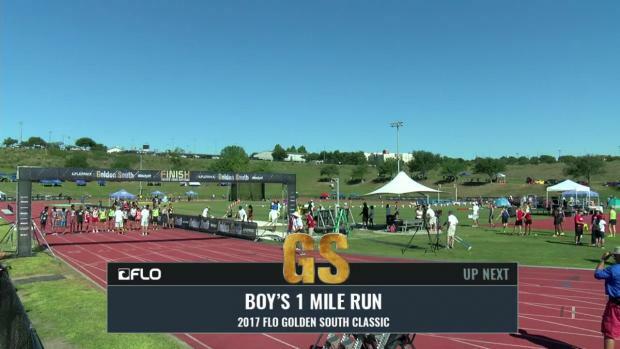 Don't miss a minute of the action from the 2017 Flo Golden South. 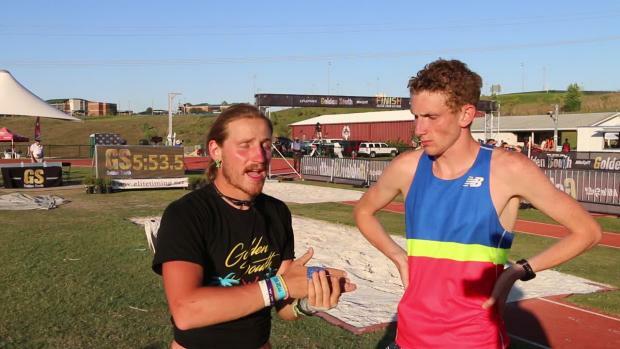 Watch EVERY race video. 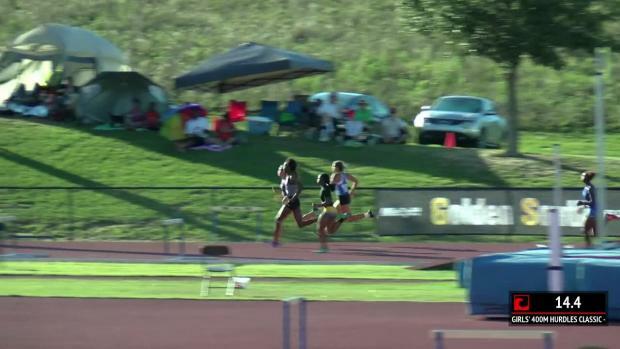 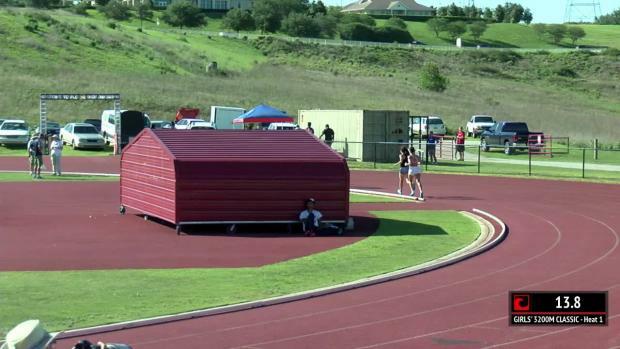 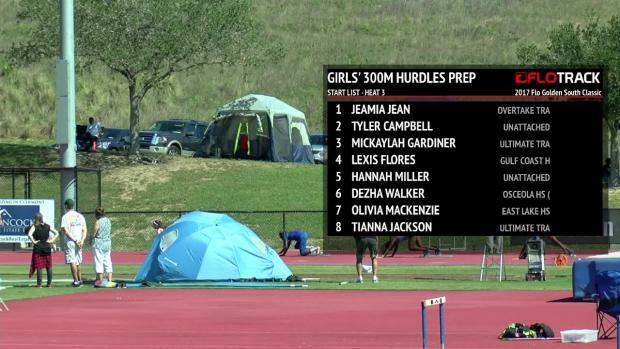 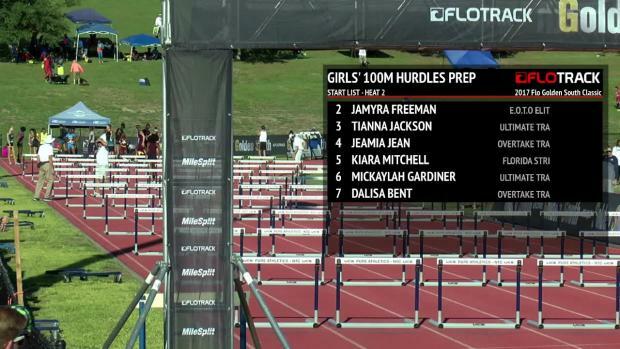 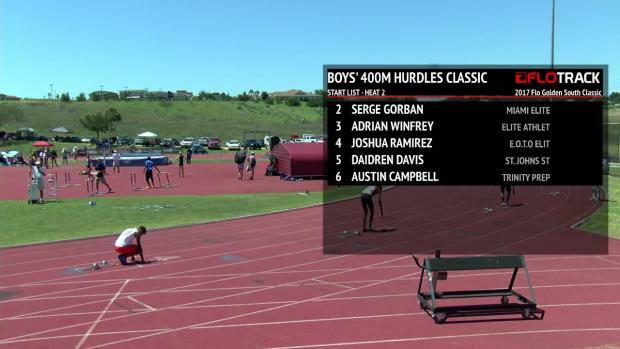 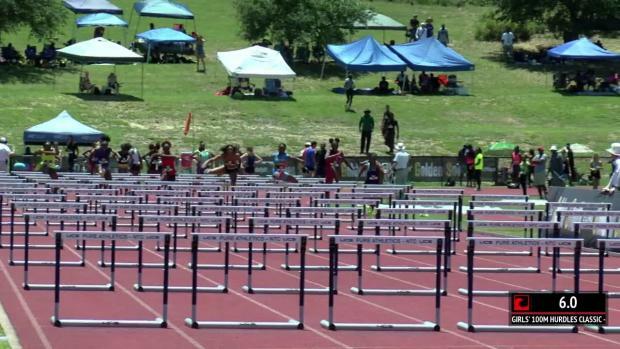 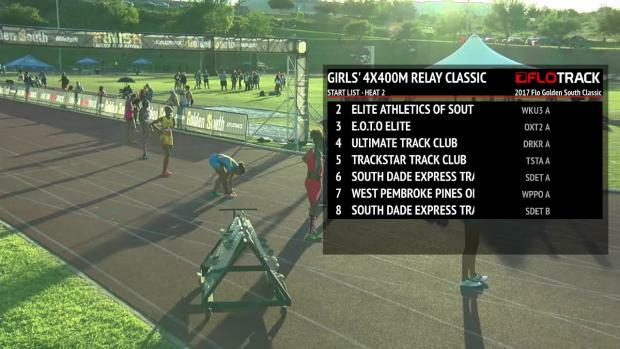 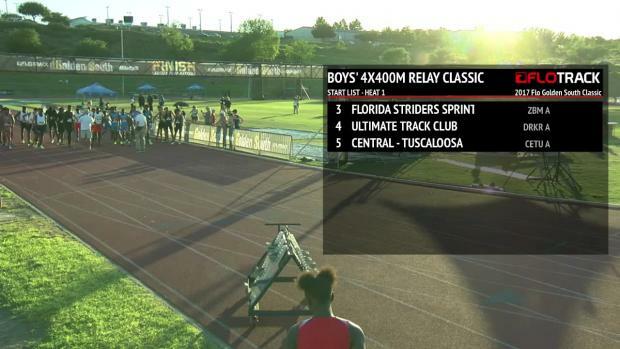 Relive all the action from Flo Golden South! 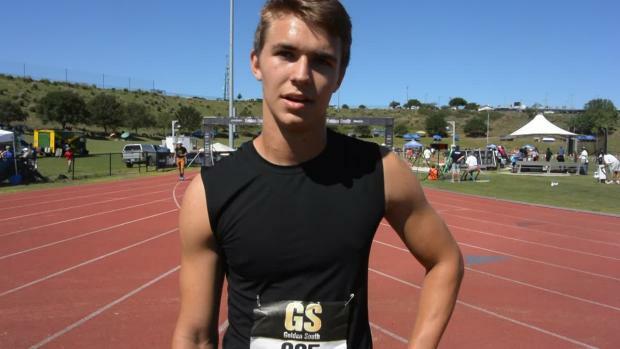 Our Billy Cvetko caught up with the top performers at the 2017 Flo Golden South.